Sigh...you know that feeling when your hair looks good, but doesn't feel good? 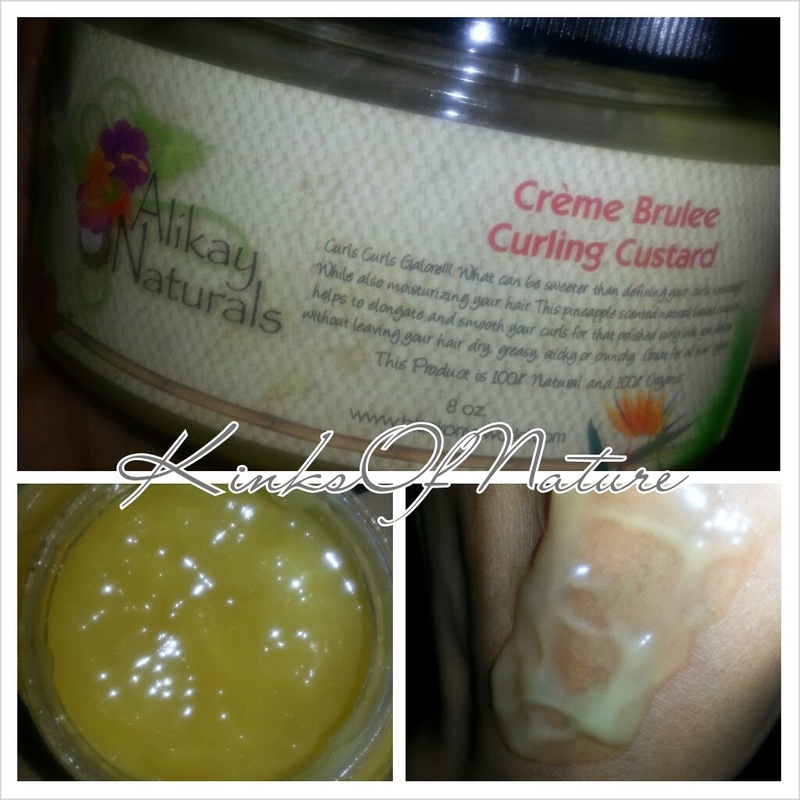 That's my experience so far with this: Alikay Naturals Creme Brulee Curling Custard. Ingredients*: Aloe Vera, Infused with Essential Oils and Botanical Blend, Humectant, Coconut Oil, Almond Oil, Natural Fragrance. *The packaging reads "key ingredients," but the site reads "ingredients," presumptively full ingredients. I'm not sure which is accurate but I will be writing to the company to check before posting a full review. Thoughts: I kid you not, this smells exactly like Luden's Wild Cherry Throat Drops! It took me days to figure out why this smelled so familiar! The fragrance does linger; I kept wondering what that sweet scent was and finally realized it was my hair. After the first day or two, the scent faded. What amazes me about this product is that though it has a light consistency, it provides a medium-to-strong hold. I was beyond skeptical that this would define and hold my hair, but it did! I prepped my hair by co-washing with Deva Curl No-Poo, then applied Koils by Nature Moisturizing Shealoe Leave-In Conditioner, and sealed with Afroveda Shikakai Oil. 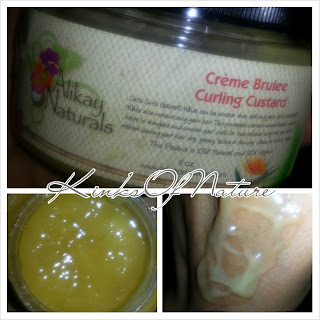 I applied the Creme Brulee by smoothing it into each section. I pinned my hair down while drying to minimize shrinkage..
My hair is soft. It's lightweight. There's no residue whatsoever. Good definition. So what's the problem? My hair just doesn't feel as good as I know it can. When I touch my hair, I hear it. I'm having to put in work to soften and moisturize. Normally, I can fluff with an oil just for a little additional shine, but currently, I'm having to use a water-based products to even make my hair pliable. Then I have to add oil to kill the slight dullness. As I said, I like the look, but the feel, not so much. It could have simply been a bad combo. Next time, I'll try it with a heavier leave-in. I could probably get 8+ uses out of this 8oz jar, which is a lot for me considering I usually only get about half that many uses out of similar products. A little truly goes a long way with the Creme Brulee. My biggest issue is that this product does not have a full ingredients list on the packaging, and there isn't one on the site either. What if a person has allergies? I'm going to write the company and request the ingredients list. Hopefully, they'll respond.